Democrats won big on the filibuster—but will Mel Watt get an up-or-down vote? Senate Majority Leader Harry Reid had a simple demand for his Republican colleagues: give all seven stalled nominees to the executive branch an up-or-down vote, or Democrats will change the Senate rules so all executive branch nominees are immune from a filibuster. Tuesday morning, Reid announced that Republicans caved almost entirely. According to a Senate aide, the deal is as follows: all seven positions will receive an up-or-down vote, but the two nominees to the National Labor Relations Board must be switched out for two alternate people whom the White House is free to pick. Nothing in the agreement precludes Democrats from changing the rules in the future if Republican obstruction continues. Right away, the Senate agreed to move forward with the nomination of Richard Cordray to head the Consumer Financial Protection Bureau, and with Republican help that motion got seventy-one votes. One might raise two quibbles with this deal: the first is that the two NLRB nominees are replaced. However, I am told that not only will Republicans have no say in their replacement, but organized labor will have a very strong voice in this process, and that the nominees must be fast-tracked and approved by August 27. While that is certainly unfortunate for the two individual nominees in question, the final outcome could be an even more labor-friendly NLRB. Nothing is official until it’s official, so this bears watching. But based on what we know today, the nominee rotation here was simply a face-saving measure for Republicans. Another concern is that the GOP has still reserved the right to filibuster future Obama nominations—and that is certainly a valid worry, given past history. From a political perspective, Reid couldn’t really pull the “nuclear” trigger after Republicans gave him everything he asked for. So the paramount concern for progressives here is that Reid must keep this threat alive if Republicans block another executive branch nomination. Reid has the fifty-one votes to change the rules and prevent filibusters on executive nominations—or, at the very least, Republicans certainly believe that he does—and if Reid stays strong and operates with this leverage, then effectively he has already performed the nuclear option. An excellent test of this resolve will come shortly. On Thursday, the Senate Banking Committee will vote on the nomination of Mel Watt to head the Federal Housing Finance Agency. The full Senate will then consider the nomination. Republicans have not raised a single valid concern with Watt’s credentials, but nevertheless most oppose him and Wall Street analysts think that there’s only a 25 percent chance of confirmation. At stake is potential relief for millions of distressed homeowners, which will come if Watt is confirmed and enacts principal reduction on underwater mortgages held by Fannie Mae and Freddie Mac. Republicans oppose that policy, and thus oppose Watt, which gets to the heart of the debate over executive branch nominations. Many people might tune out this debate as too procedural or inside baseball, but what’s really going on is that Senate Republicans are using fundamentally undemocratic procedures to block things that Americans have already voted on and approved. Corday is a good example, and one that Reid brought up at the Center for American Progress on Monday. He noted that Wall Street “ruined” places like Las Vegas, Nevada in 2008 with the housing bubble and subsequent crash—and the small-d democratic response was the Dodd-Frank financial reform bill, which created the Consumer Financial Protection Bureau. That bill survived the ugly legislative process, and became law—except, for 730 days, Republicans kept Cordray from being installed as the director. They raised “not one” quibble with Cordray himself, as Reid noted, but rather demanded a wholesale change in the way the CFPB operates that would neuter what it was created to do. That’s a complete short-circuiting of the democratic process. The same is true with the other nominees the GOP has been holding up—Gina McCarthy to head the Environmental Protection Agency, Thomas Perez to lead the Department of Labor, and the NLRB nominees. The US Chamber of Commerce, big finance and big oil were all heavily invested in blocking these appointments, and are no doubt upset today—but their real opportunity to stop them was in 2012. This is the same situation with Watt. Running up to the presidential election last year, the Obama administration made it clear that it backed principal reduction at Fannie and Freddie. Americans voted, and re-elected Obama, and also elected a bunch of Democrats to the Senate. Obama then nominated Watt to head FHFA, and a majority of the Senate will approve that nomination. Republicans have not raised one issue with Watt’s experience or credentials, so how can they block this nomination? If they do, the Democrats’ resolve on the filibuster will be tested very quickly. Watt deserves an up-or-down vote. 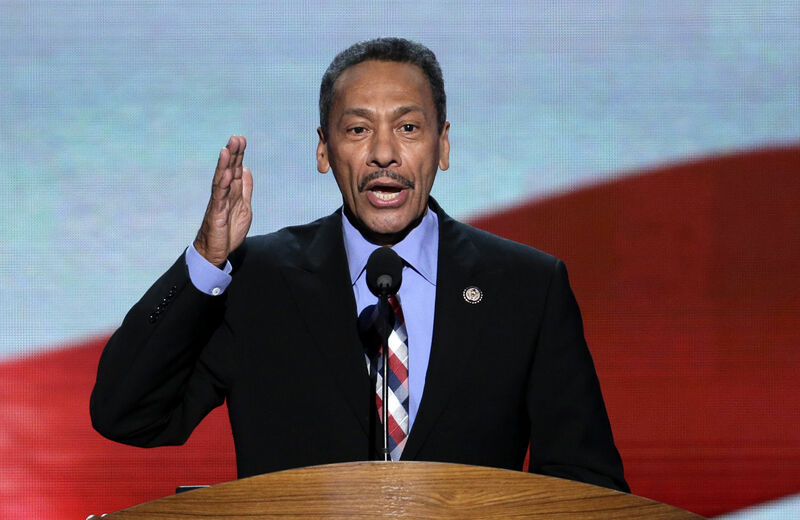 What is at stake if Mel Watt fails to get confirmed?